Fascinating post. 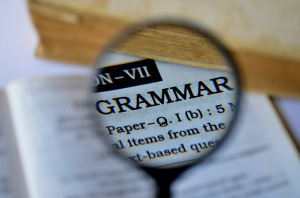 How do YOU approach grammar and punctuation? Is it a guide to help a reader follow your story, or is it the be all end all, unbreakable set of rules to be adhered at all costs? I’m a grammarian at heart, but it’s more important to me that the voice is authentic. So if a character would say something incorrectly, I’ll forego the rules of grammar in their thoughts and conversations to make them ring true in the story. In the end, I think that’s vital to a reader bonding with the book.